RIM Announces Two New Blackberry Devices in Europe | BlackBerry Blast! Research In Motion today unveiled two new BlackBerry™ models for customers in Europe. The data and voice-enabled BlackBerry 6210™ and BlackBerry 6220™ feature a smaller design with a light and comfortable feel, increased memory for greater application and data storage, as well as new support for wireless email synchronization and integrated attachment viewing. 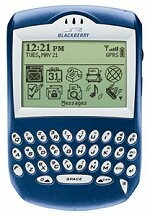 The Java-based BlackBerry 6210™ and BlackBerry 6220™ each deliver email, phone, SMS, browser and organizer applications in a single wireless handheld that supports international roaming. RIM is demonstrating the new BlackBerry handhelds this week at CeBIT 2003 in Hanover, Germany.